Consumers have a growing insatiable need for bandwidth and speed, but much of this is spurred by technological innovation. As promising as 5G NR technology looks, getting there comes with its own set of challenges. Not so long ago, a hand-written letter took weeks to get to Aunt Abby. Then e-mail came along and fundamentally changed the way we communicated, by enabling messages to be delivered in seconds rather than days or weeks. Innovation in mechanical engines made the automobile mainstream, replacing horse-drawn carriages and helping people and goods get from point A to point B in a fraction of the time it once took. 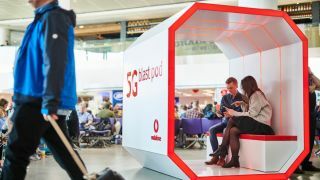 While 5G New Radio (NR) is being partially driven by consumer demand, it’s primarily attributed to the innovators who push the edge of technology and speed. Consumers have a growing insatiable need for bandwidth and speed, but much of this is spurred by technological innovation. Consumer demand for more bandwidth, higher data transfer speeds, and better connectivity is pushing engineers like you to innovate the next frontier of cellular technology, using 5G NR to meet these demands with a reliable communication network. With 5G NR, you will need to utilise new and existing technologies to achieve extreme data throughputs while simultaneously introducing new test challenges: testing at millimetre-wave frequencies, wider channel bandwidths, and complex multi-antenna configurations. 5G NR mobile devices and base stations will implement sub-6 GHz and millimetre wave (mmWave) designs that require optimising and validating 3D beam performance with new, more complex over-the-air (OTA) test configurations with wide channel bandwidths and multi-channel MIMO test requirements. This complexity increases the number of instruments needed and measurement uncertainties in mmWave OTA systems, making it more difficult to achieve accurate and repeatable measurements. But, let’s face it – even with the uncertainty of an evolving 5G New Radio standard, 5G has exciting applications across a variety of industries. For automotive, autonomous vehicles’ response time to emergency situations are orders of magnitude faster than human response time. In entertainment and multimedia streaming across mobile phones and PCs, downloading the average length movie can decrease from 7 minutes to 6 seconds. Finally, in IoT, 5G promises to increase security and health by enabling IoT devices with high data transfer speeds in the smart home. However, to get there, you’ll need to first jump over 3 challenging 5G testing hurdles. 5G testing will generally require more complicated test setups to characterise new cellular designs. Early 5G applications will operate at sub-6 GHz and mmWave frequencies between 28 GHz – 39 GHz. 5G also requires higher modulation bandwidths (up to 2 GHz) to support peak data rates. Since 5G applications operate at mmWave frequencies, previously conducted setups have transitioned to over-the-air test setups with phased array antennas. These antennas bond directly to your RF integrated circuit (RFIC). They provide high gain and beam steering capabilities that enable higher reliability at mmWave frequencies. Since your desired signal now propagates through air instead of a physical cable medium, there is some expected system path loss. High system path loss results in low signal-to-noise-ratio (SNR). Low SNR causes transmitter measurements with poor error vector magnitude (EVM) and adjacent channel power ratio (ACPR). This means the measurements don’t show the real performance of a device and simultaneously reduces receiver sensitivity. In today’s OTA world everyone is familiar with the concept of radiated antenna testing. However, with the shift from 4G to 5G, OTA testing will also entail both RF parametric and functional performance tests at millimetre wave frequencies. These tests range from EVM and adjacent channel leakage ratio (ACLR) tests to modem and data throughput tests. Finally, another big testing challenge that the 5G NR standard introduces is an increased number of tests that you must conduct which can lead to longer product development cycles. This is partly due to instances where you cannot easily switch from two interference channel tests to dual channel MIMO and beamforming tests. You also need to keep in mind that with the new standard, there are more test items and scenarios that need to be validated. Additionally, it is time consuming to have to wait on a vendor for the latest 5G NR standard-compliant signals for your application for an evolving standard. These challenges are not only a hassle but take away from core product development time that can slow you down in the race to 5G. You already know that 5G NR requires wider modulation bandwidth (2 GHz) and operates at mmWave frequencies. So, to test a receiver, for example, you need a reliable signal generator (see Figure 1) that meets those minimum qualifications. For the variety of 5G tests that you’ll be running, having multiple instruments is not the best solution. An instrument that performs all your tests in one box will not only minimise your test set up time but also help you meet 5G 3GPP standards more quickly. Figure 1: Having the right single instrument signal generator can help reduce your test system setup complexity, deliver the necessary high output power for radiated mmWave tests, and minimise the product development cycle. While operating at millimeter wave frequencies has its advantages, a significant disadvantage is system path loss. Compensating for excessive system path loss at mmWave frequencies requires a signal generator with high output power. A signal generator must also have a linear output section, less distortion, and low phase noise at high power levels. These are key to making accurate measurements at mmWave frequencies, and to ensure errors are not coming from the signal generator itself. To overcome excess path loss, increase the output power of a signal generator and use a highly sensitive signal analyser to compensate for the loss. Product development time can be slowed in part by not having a reliable signal generator to enable quick switching between independent interference channel tests to dual channel MIMO and beamforming tests and having to independently keep up to date with creating your own 5G NR compliant signals. Signal sources with built-in dual channels can enable you to easily tackle the multitude of 3GPP conformance tests configurations. Software that has current 5G NR compliant signals leaves you with time to focus solely on product development and not meticulously spend it creating your own compliant signals. The right tools will not only help you stay ahead in the race to 5G, but also give you higher confidence in your device’s performance – faster. For more information on 5G signal generation check out the 4 Tips for 5G New Radio Signal Creation white paper.